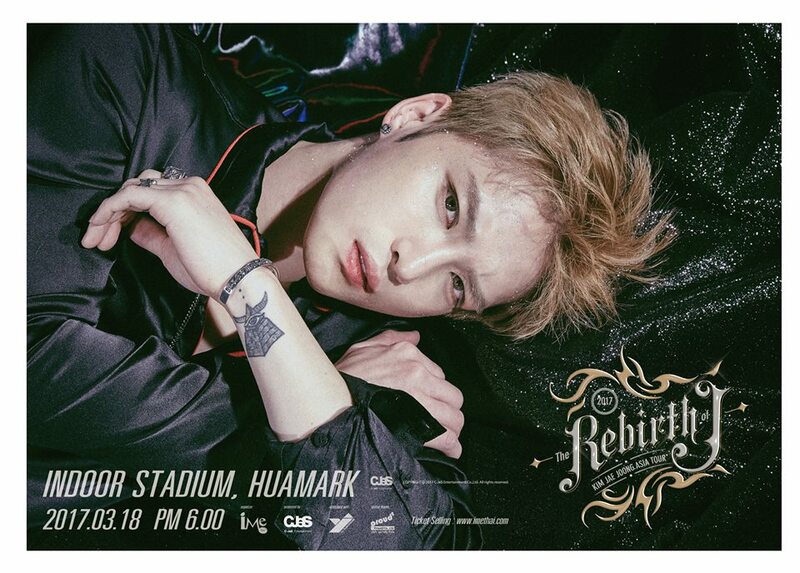 JYJ's member Kim Jaejoong who had just returned from the military service in December 2016 made a grand return through his concert, 2017 KIM JAE JOONG ASIA TOUR in SEOUL 'The REBIRTH of J' which was held in Korea last month. Fans also proved their loyalty when the concert tickets were sold out within 1 minute! Jaejoong will be touring to a few countries such as Japan, Taiwan, Macau, Hongkong, Thailand and more to meet his fans who have been waiting for him since the day he joined the military service two years ago. 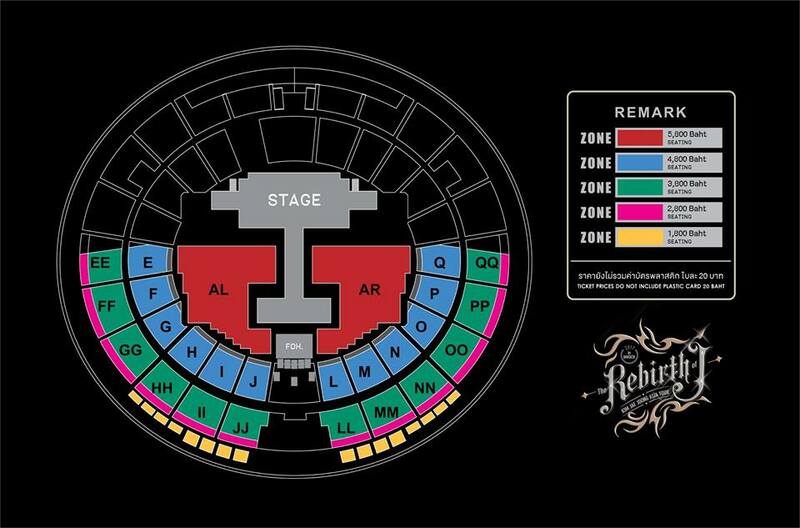 On a side note, here are the details for 2017 KIM JAE JOONG ASIA TOUR in BANGKOK ‘The REBIRTH of J’. Ticket On Sale Date :Saturday 11th February 2017, 10.00 AM onwards. Additional Special Privileges for all tickets price will get Official Poster and all tickets will add to random Lucky fans to get Autograph Poster totals 50 Fans. - Ticket Price 5,800 Baht will add to random 25 tickets to get Autograph Poster. - Ticket Price 4,800 Baht will add to random 10 tickets to get Autograph Poster. - Ticket Price 3,800 Baht will add to random 5 tickets to get Autograph Poster. - Ticket Price 2,800 Baht will add to random 5 tickets to get Autograph Poster. - Ticket Price 1,800 Baht will add to random 5 tickets to get Autograph Poster. 1. The Ticket Buyers have to apply for membership. Required information: First Name, Last Name, Phone Number, E-mail Address, Address. Membership Application is Free of Charge. The Member will acquire username and password for ticket purchase and other membership activities. 2. On-Line Tickets will be selling on Saturday 11th February 2017, 10.00 AM onward via www.imethai.com . Once enter into the system, the member has to fill up the required details on the webpage. Then select ticket price, zone and seat number. - After the payment is done please kindly inform date/time of money transferred at www.imethai.com (on View Orders menu) within the given time frame; otherwise, it will be considered that the member would like to cancel the reservation. The reservation will be cancelled from the system. The organizer will not be responsible on this cancellation. - After the member has informed the organizer about the payment details, the Ticket Officers will review the payment within 24 hours. 4. Please keep the proof of payment i.e. payment slip (**Recommend the member to take photos of the slip to prevent colour fading) and Reservation Code in order to collect the ticket(s) and preventing fraud. 5. After the reservation is submitted, the member is not allowed to change any reservation details, cancel the reservation or refund the ticket. 6. In case of losing ticket, Ticket Intelligent reserves the right to refuse issuing a new ticket in any circumstances. 7. Tickets self pick-up will be at Ticket kiosk at Concert venue from 13.00 pm.